Born in Danville, Vt., Mr. Collins became one of the nation's most homespun entrepreneurs. After quitting high school in Sarasota, Mr. Collins moved to Fort Myers, Fla., where he worked as a motorcycle police officer, escorting such business legends as Henry Ford, Thomas Edison and Henry Firestone. Inspired by their business acumen, Mr. Collins moved back to Sarasota in the late 1930's, operating a gas station and later working as a used-car salesman. He bought the Sarasota Kennel Club -- the first piece of his racing empire -- in 1945 by assuming responsibility for $5,005 in back taxes. 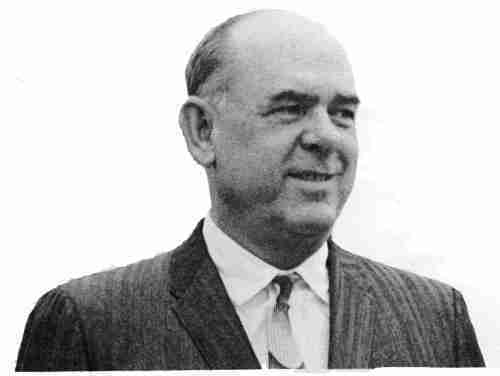 Over the years, Mr. Collins would shrewdly expand his racing properties to include greyhound tracks in Orlando and Daytona Beach, Fla.; South Dakota, Colorado and Havana. He also owned horse tracks in South Dakota and Oregon. While Mr. Collins was an avid racing fan, he made time for other business interests. He owned four circuses, including the Clyde Beatty-Cole Brothers Circus, which he later donated to Florida State University. The college later sold it for $2 million. During World War II, Mr. Collins ran for the Florida Legislature and eventually served four terms. Though known as a shrewd businessman, Mr. Collins's generosity brought him greater notice. A founder of New College in Sarasota, Mr. Collins gave the institution a $1.2 million motel he owned in Bradenton, Fla., and raised another $7 million for a library. He also gave $600,000 for a new veterinary school at the University of Florida. His biggest donation made national headlines. Alarmed when he saw Oral Roberts, the television evangelist, threatening to starve himself to death in 1987 if he did not raise $8 million in a fund-raising drive, Mr. Collins wrote him a $1.3 million check to make up the balance. ''I did it in order to save the guy from going to heaven in a hurry,'' Mr. Collins said. ''It's got nothing to do with religion. I've been a Baptist and a Methodist. I believe in religion and not just the church. You have to help one another.